Offering a free weekend of traditional music, country cooking, pioneer skills demonstrations and more than 120 craft booths. This three-day festival kicks off Friday night, at 7 p.m. with an old-fashioned square dance and jam session. Beginning at 10 a.m. on Saturday, Sept. 8, will be pioneer demonstrations, music and storytelling, in addition to crafts and food booths. Storytelling, music and demonstrations will continue on Sunday, Sept. 9, with crafts and foods booths officially opening at 9 a.m.
music. In the Park Village area, over 120 craft booths will display an array of handmade wares, including woodworking, folk art, soaps and candles, leatherworks and basket weaving. Tempting visitors’ taste buds, local non-profit groups will be on hand to serve home-style country cooking, offering many menu options. The event is free and open to the public, though optional donations benefiting Friends of Fall Creek Falls can be made at festival entry points. 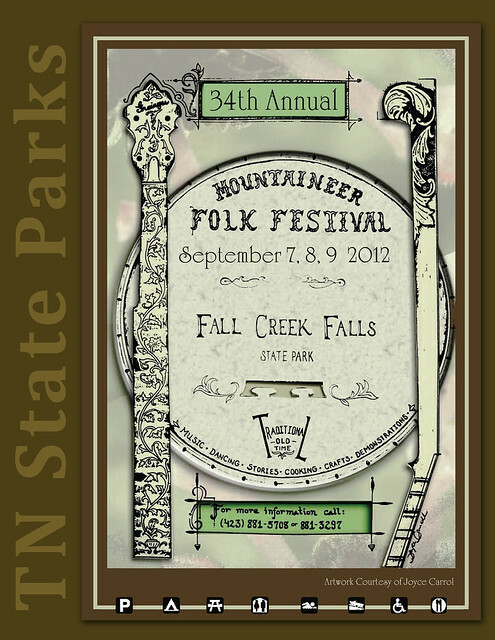 The event is co-sponsored by Fall Creek Falls State Park, the Tennessee Arts Commission and Friends of Fall Creek Falls, an organization focused on preserving the natural and cultural riches of the park. Fall Creek Falls State Park is a 25,500-acre paradise in the eastern Cumberland Plateau. Located just 40 miles south of Cookeville and 65 miles north of Chattanooga, the park offers incredible scenic beauty and recreational opportunities. Beautiful waterfalls, tremendous canyons and dense forests are protected within the park’s boundaries.